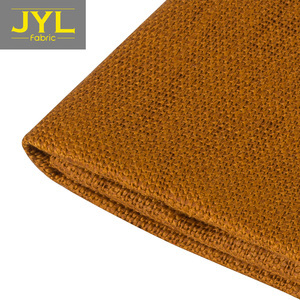 Linyi Jinhong Home Textiles Co., Ltd.
Shaoxing Rongbao Textile Co., Ltd.
Qingdao Modern Import And Export Co., Ltd.
You will get the sample from us and test the quality, then we will produce the order according to chat quality. B. Send us the sample, we will produce the product according to the quality. Quality control department specially responsible for quality checking in each process before packing according to the PO. 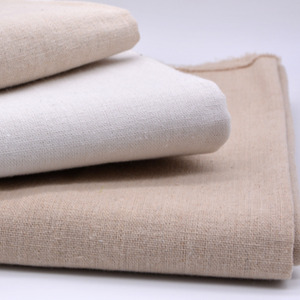 D.
Shantou MazhuCity Textile Co., Ltd.
Flax is a highly drought-resistant plant; it is not only energy-saving but also water-saving; therefore brings a very soft breathable and resistant linen fabric. The MOQ (Minimun Order Quantity) for customized order is 2000m (two thousand meters) and don't worry our prices are flexible according to the quantity needed. all you need to do in such case is to take some clear pictures(photos) of the damaged area or product and describe to us the problem encountered. 3.What is the MOQ for your products9 It depends however we prefer at least 1500 yards. 4.what is your lead times 9 15-20 days basically however we can check for urgently situation. 5.Do you offer samples9 Yes we do ,we offer free sample swatches. 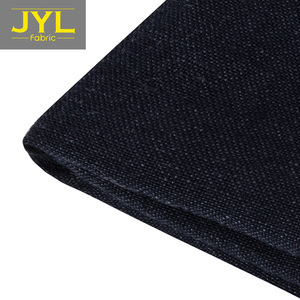 In 2008, to meet the demand of market, we devoted to knitted fabric development. We present the best products and service to customers. Chen, and all our staff sincerely hope to cooperate with worldwide customers based on mutual development. 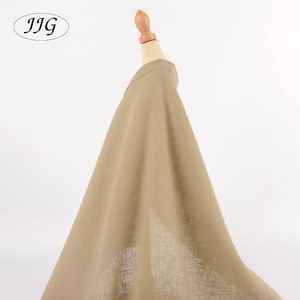 Stretch 60*55 density 21*21, 190 gsm imitation linen bamboo sand wash fabric. Shishi Yingdeshi Textile Trade Co., Ltd.
Huzhou Sairun Textile Co., Ltd.
we have our own warp knitting machines and sewing machines to make the mosquito nets from yarn to finished products. 2.Q: May I get a cheaper price9 A: A cheaper price will be given if there is a large quantity you need. 2)We have our own quality control/service team to follow buyer's order , we can control the committed delivery. 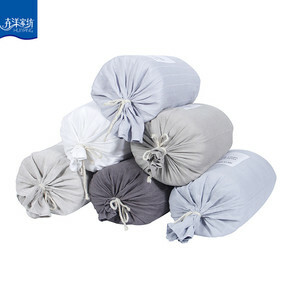 Alibaba.com offers 8,576 washed linen plain dyed fabric products. About 8% of these are bag fabric, 6% are industry fabric, and 4% are 100% cotton fabric. 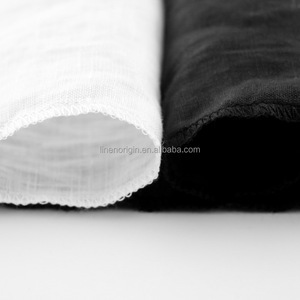 A wide variety of washed linen plain dyed fabric options are available to you, such as bag, dress, and shirt. You can also choose from anti-static, shrink-resistant, and memory. As well as from 100% polyester, polyester / cotton, and 100% cotton. 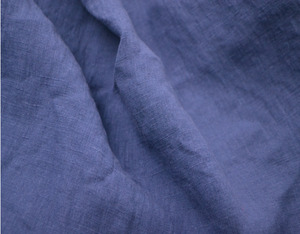 And whether washed linen plain dyed fabric is yarn dyed, printed, or brushed. 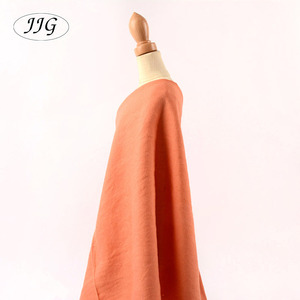 There are 8,565 washed linen plain dyed fabric suppliers, mainly located in Asia. The top supplying countries are China (Mainland), India, and South Korea, which supply 99%, 1%, and 1% of washed linen plain dyed fabric respectively. 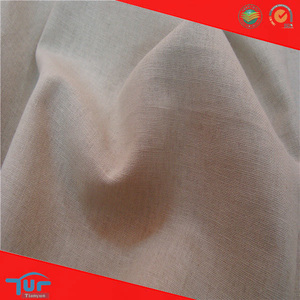 Washed linen plain dyed fabric products are most popular in North America, South America, and Western Europe. You can ensure product safety by selecting from certified suppliers, including 4,591 with Other, 345 with ISO9001, and 128 with ISO14001 certification.